Fill in the form below to create your own Half Birthday Ecard. 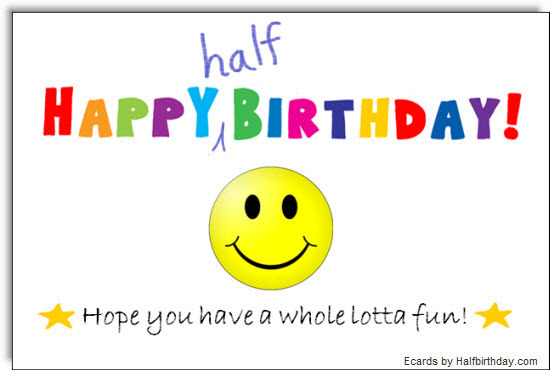 Half Birthday Smiley Face Ecard This card is free to send. Who will receive this card? When do you want to send your Half Birthday Ecard?